So nice of you to visit my little corner of the world. We’ve been off enjoying summer – travel to exotic places (pictures to come), the beach, and just soaking up my favorite season for as long as possible. I hope you’re enjoying summer too! 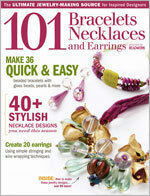 Before I wait another day, today I’m posting pictures of jewelry that was published in Stampington’s Jewelry Affaire. 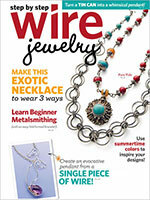 This is a wirework twist of a charm-holder necklace. I included some of my favorite stones – from smoky quartz to little brass cubes. It was fun creating all sorts of dangles using a seed-bead embellished vintage key and a herringbone wrapped faceted bead. I used faux leather suede to finish the necklace, complete with a wirework clasp. 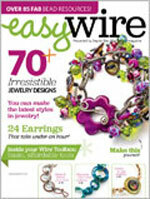 Now how about a sweet pair of wirework hoops? The coiled wire adds a bit of texture, framing a carved mother of pearl flower. 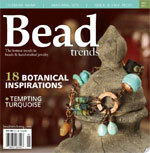 I had been saving this graduated strand of turquoise beads for quite some time. 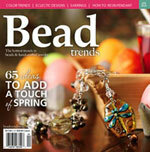 I decided to make a completely handmade focal just for these special beads. I used sheet metal to create a semi-circle, and added texture. 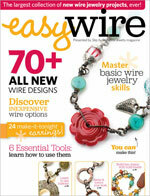 Coiled wire adds great dimension – here I used several gauges of sterling wire along with twisted wire, wrapped around the crescent. Layers of turquoise and silver! Just for fun, I combined necklaces from my previous blog post. They were all created as a collection. There’s one more necklace to this collection – will post that one soon! 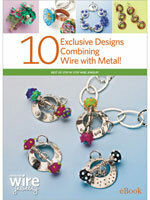 You can find these designs and instructions in Jewelry Affaire Spring 2015. Thanks for stopping by! I always love seeing your jewelry! 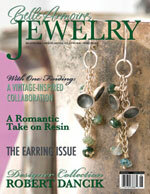 and congrats on the feature in Jewelry Affair – I LOVE that necklace. What a stunning piece. 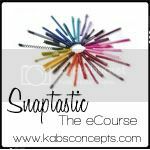 I so wish I were close enough to come to one of your classes, if not to just meet you and do some jewelry making together! 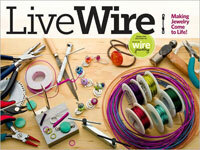 Love all of these – Your wire work always inspires me!!! 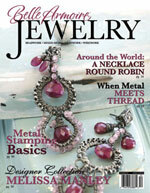 I absolutely loved seeing these in Jewelry Affaire! So much so that I even made a necklace inspired by your charm holder necklace. You are such an inspiration! 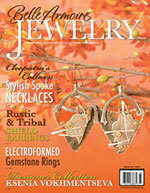 Congrats on the feature in Jewelry Affaire Cindy – it’s so deserved!! I absolutely love the gorgeous turquoise (a fav of mine) and all the designs you have here. They’re just great! I think of you often and thought you were probably having great fun at the beach. I sure with the boys getting older time becomes shorter. Love the necklace work. You always inspire me. Thanks, Kim! Yes, we spent most of the summer at the beach! Time just flew by!! Oh Cindy! 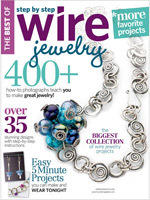 Your creations are brilliant, I just adore the turquoise and silver, and your designs are fantastic! Another hugs congrat’s on the publication, so well deserved! Congrats on the publication. And, I really hope the vacation was fantastic, as fantastic as these pieces are. I especially love that first necklace but the romantic feel of those earrings really speaks to me too. Lovely, lovely!! You always knock me out with your fabulous imagination! That focal! And the charm-holder is so unexpected and unique. 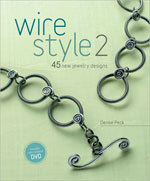 You should really do a book on wire and MOP buttons. I’ve been trying to figure out Instagram so I can follow you but I don’t have a smartphone, just a Kindle and nothing I try seems to work. E-mail me! I sure miss our chats. So enjoy your creative posts, Cindy! The peek at your newest designs and these are amazing…would love to hear more about getting patinas on brass. That chunky turquoise is a killer! Alone and in combo. You inspire! Thank you, Cindy, for your beautiful and very very inspiring blog! It is a pleasure to read it and to see your lovely photos. I feel that “creative hunger” again and wish to leave to my studio, but have to stay in office. Wish you a lot of beautiful days and inspiration! You have a magic touch with turquoise!